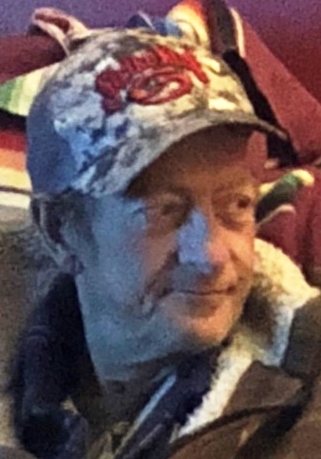 Walter C. Scott, 55, of Fargo, ND, formerly of Streator, IL, passed away on Monday, February 11, 2019, in Sanford Medical Center, Fargo, surrounded by his loved ones. Funeral services will be at 3:00 P.M. Saturday, March 2, 2019 at the Solon-Telford Funeral Home, Streator. Visitation will be from 1-3 P.M. Saturday, March 2, 2019 at the Solon-Telford Funeral Home, Streator. Private family burial will be held at a later date in Hillcrest Memorial Park, Streator. Cremation rites have been accorded. Walter Charles Scott was born, December 31, 1963, in Streator, IL, where he was raised and attended Streator Township High School. He lived for many years in North Carolina before moving to the Fargo/Moorhead area in 2011. Walter worked for Solid Comfort from the time he arrived in Fargo until his health forced him to retire in October of 2018. In the short time Walter has lived here he impacted many lives. Walter enjoyed fishing, drawing, playing guitar, drinking beer and spending time with his grandchildren. He is survived by his longtime companion, Marina Jean Waters; his children, Jarod Scott, Sheldon (Jill) Hemphill, Dallas (Kristy) Bankston, Alena, Brittany Waters and Cody Waters; nine grandchildren; mother, Marilyn Scott; brother, George Scott; and sisters, Mary (Richard) Bay and Kristine Uhren. He was preceded in death by his father, Charles E. Scott; brother, Arthur W. Scott; niece, Heather Uhren; nephew, Dalton Mesarchik; and his maternal and paternal grandparents. Memorials may be directed to Walter’s family.